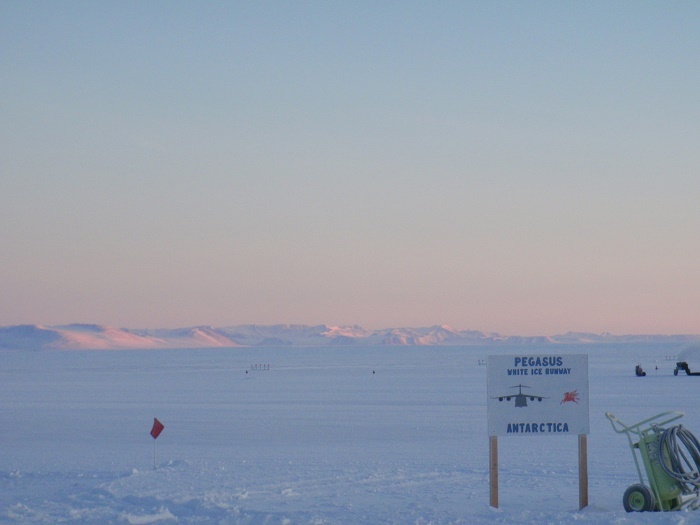 Pegasus Field is an airstrip in Antarctica, and also the southernmost of three airfields serving McMurdo Station. 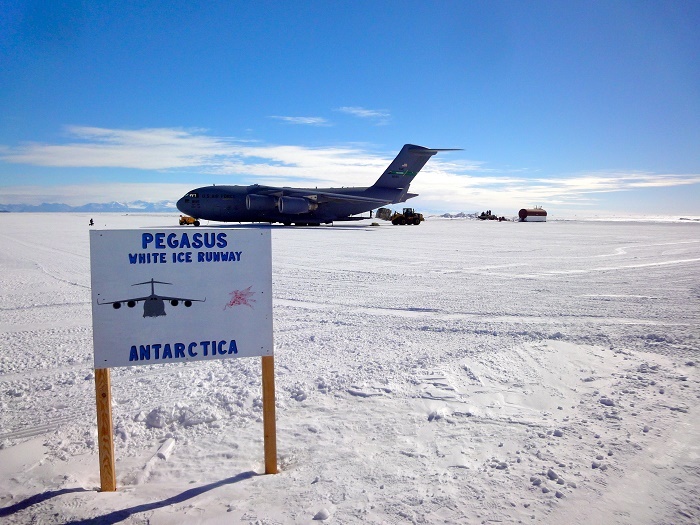 Pegasus is actually a blue ice runway capable of handling wheeled aircraft year-round. 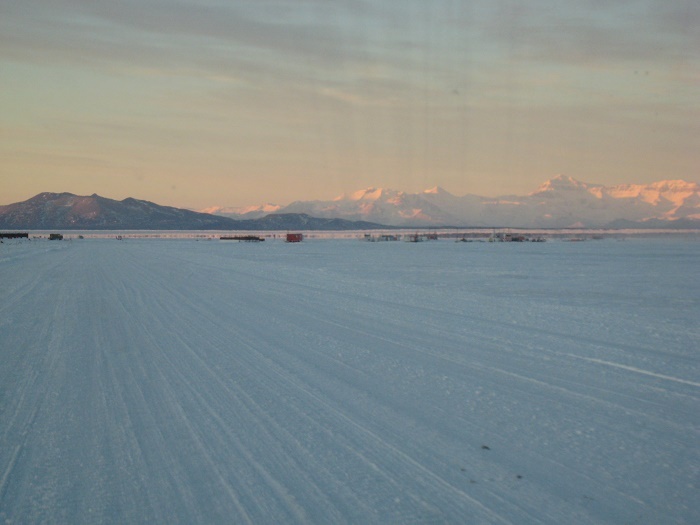 The other two are the snow runways at Williams Field that are limited to ski-equipped aircraft and the Ice Runway on the sea-ice available during the summer Antarctic field season. 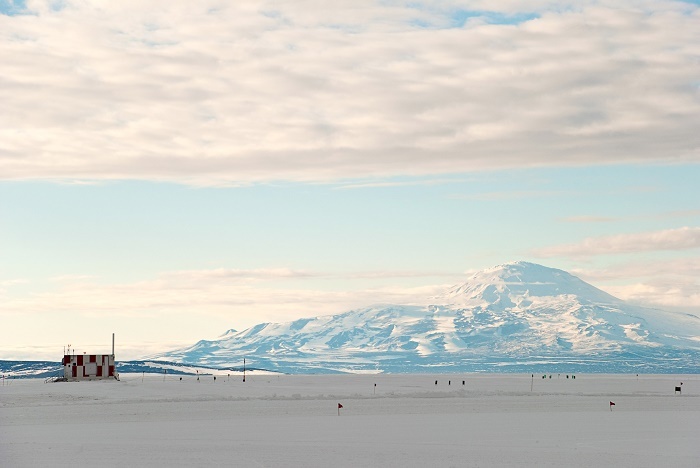 The field is named after Pegasus, a plane C-121 Lockheed Constellation which is still visible there in the snow after crashing in bad weather on October 8, 1970, and luckily no one on board was injured. The Lockheed Constellation crashed due to the very low visibility landing conditions that day. 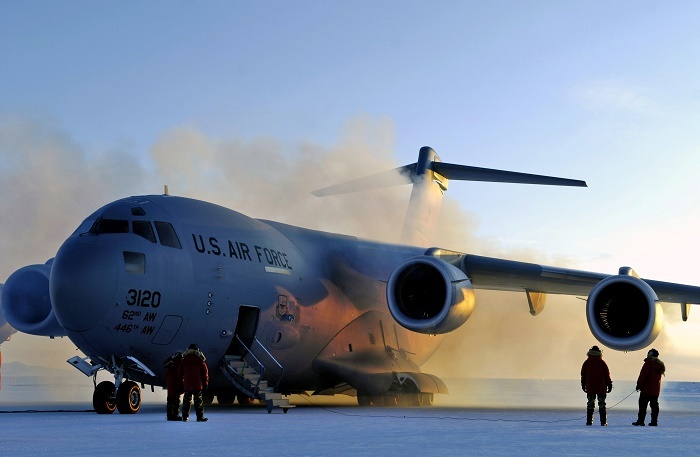 This type of aircraft was the aircraft of the President of the United State, Dwight D. Eisenhower. 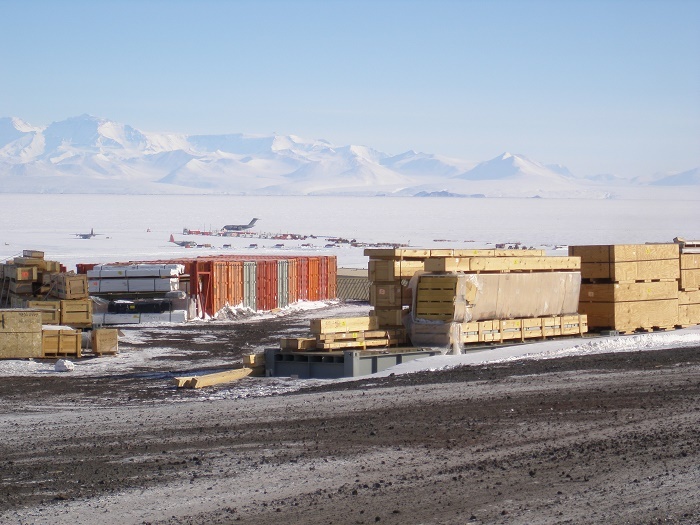 The remains of the plane still are left there to this day, buried beneath snow and residing alone in the McMurdo Sound in Antarctica. 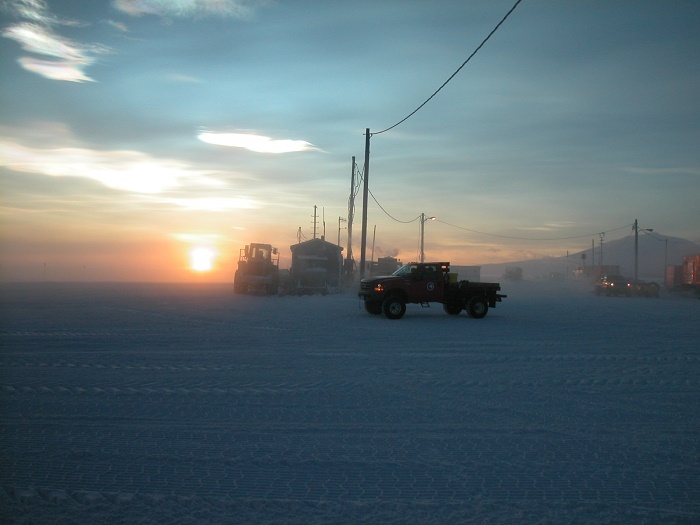 Because of that, it attracts many visitors and often gets parts of it dug out for taking pictures. If the tailpiece is dug out, of course, there you shall see how people have carved out their names all over the orange tail. 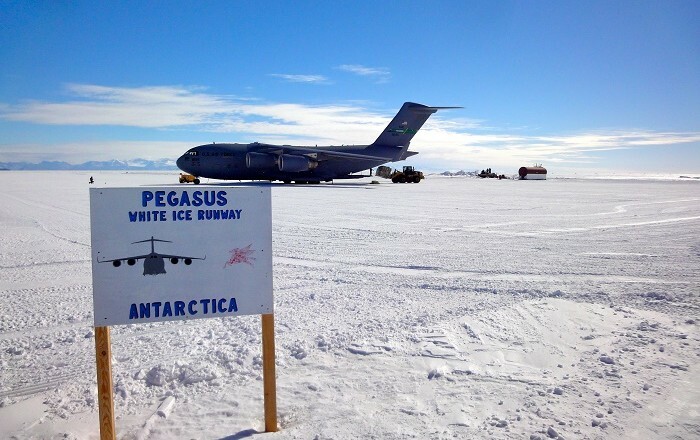 What is impressive is that the de-icing gear is still there too. 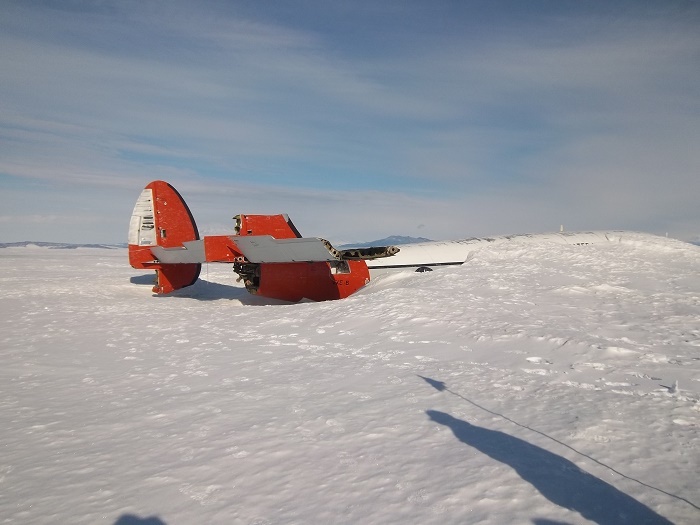 Even though the plane is most f the time buried in snow, it is remarkable that the body f the plane is in god condition, considering the harsh weather elements that surround it all the time. 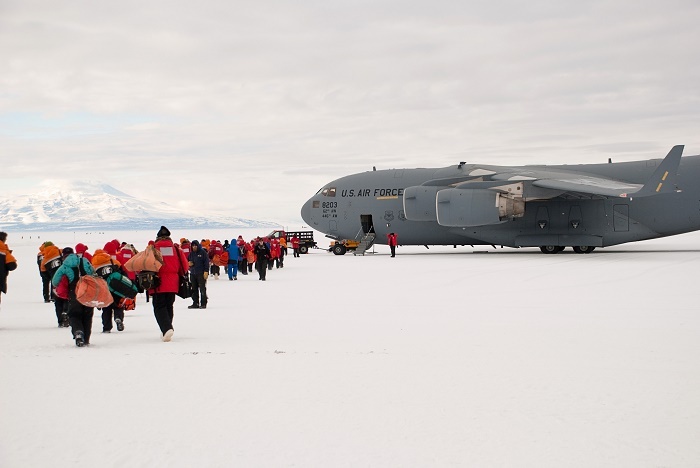 Over the years it has been covered in snow and ice as well, but people wanting to have memories of the plane, they do dug it out, at least part of it so that the world would see the alluring place where it stands forever and ever. 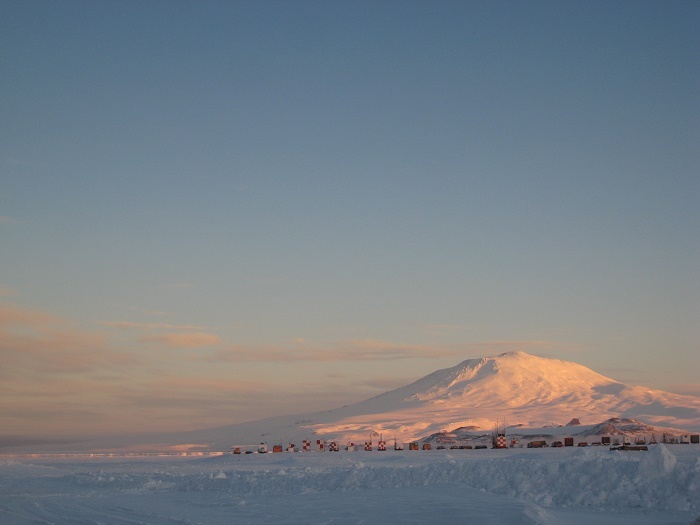 Nevertheless, the airfield is a major and important link to the rest of the world with Antarctica, where usually flights were allowed during daytime (summer months), except on emergencies, but on 11 September 2008, USAF C-17 Globemaster III successfully completed the first landing in Antarctica using night-vision goggles.